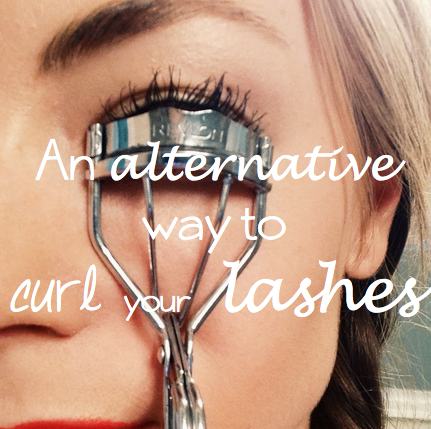 Here is an alternative way to curl your lashes if you are at all like me - afraid that your kids will bump you while you are pinching and curling your lashes and then a chunk of lashes get ripped out. What a scary thought! I found this idea while watching Twist Me Pretty on YouTube so I had to share. Guys, she helps me do my hair every week. I love her channel! So, instead of pinching to curl your lashes, you simply apply mascara and then press the form of the eye lash curler at the root of the lashes or around the lashes so they curl up while the mascara dries. Brilliant I tell you. The only thing you need to watch out for is smudging the mascara onto your lid, so just be careful and kind of shut your eye lid a little bit while you press. If you would like to watch a demonstration of this technique, here is the Twist Me Pretty Makeup Tutorial. Enjoy!